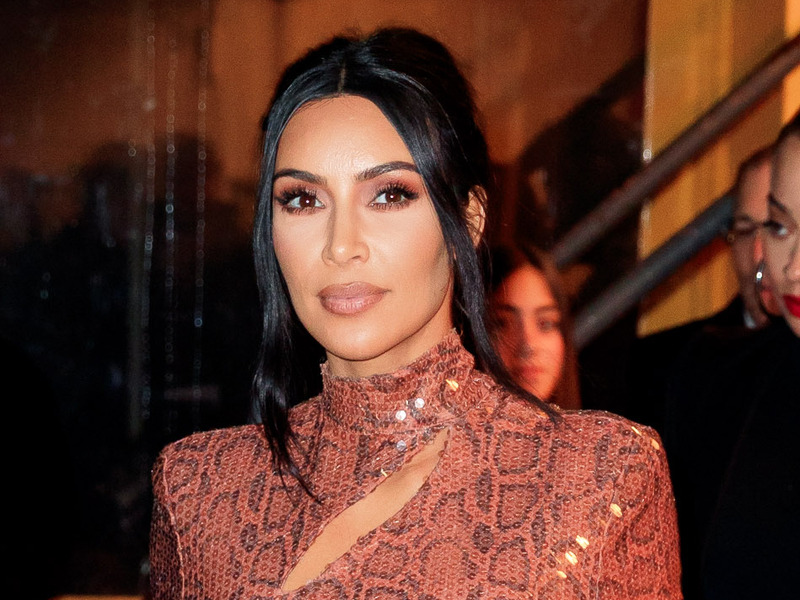 Kardashian West’s outfit is proof that the snakeskin trend is making a comeback. Kardashian West was spotted at Cipriani in New York City’s Financial District on Thursday night wearing a vintage design by Thierry Mugler. The dress is from the designer’s 1983 collection and features many staple design elements of the decade. It’s made of a dark coral snakeskin print that is covered in lightly glimmering sequins. The dress also features sharp, angular shoulders for a distinctly ’80s feel. Kardashian West’s sister Kourtney Kardashian was also in attendance, sporting a one-shouldered lace top paired with black trousers. When it comes to snakeskin, it looks like what’s old is new again.